A formal black leather strap watch by Raymond Weil. 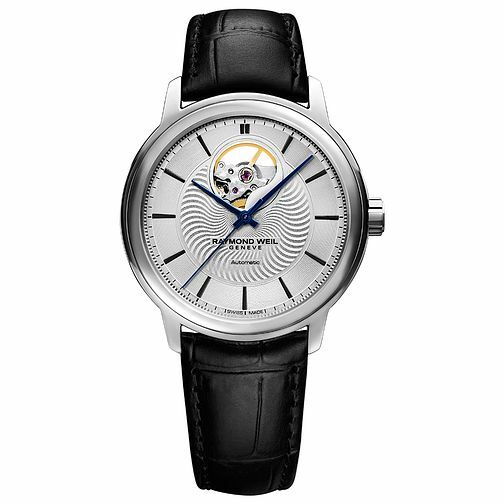 This Maestro timepiece is styled with a silver tone dial with an open balance skeleton wheel and and blue coloured accents. Powered by automatic movement which recharges itself by the movements of your wrist. For Raymond Weil, aestheticism is a preoccupation in the development of their luxury watches.